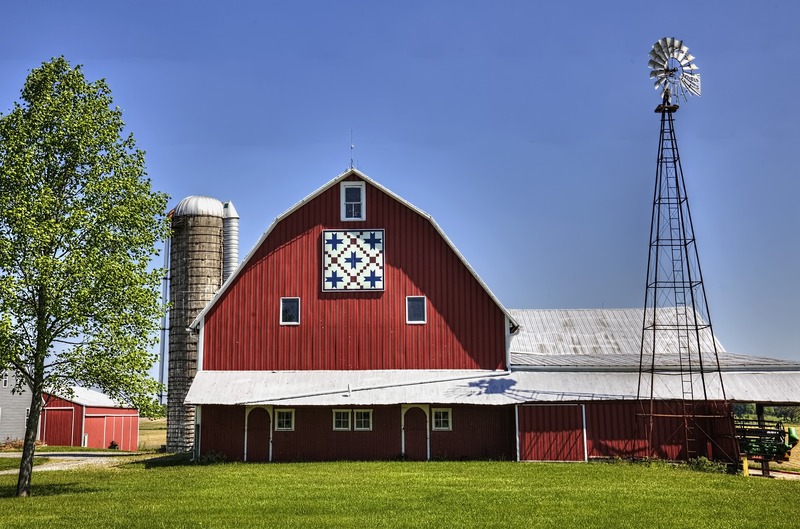 I love farmland, farmhouses, farm homes and big old barns. View Farm Homes and Farmhouses for sale. Isn't there something special about being on a farm and seeing the a big old beautiful barn that has been well cared for or one that has been brought back to life? I love seeing these old barns that have been renovated and show the pride that comes along with farming. 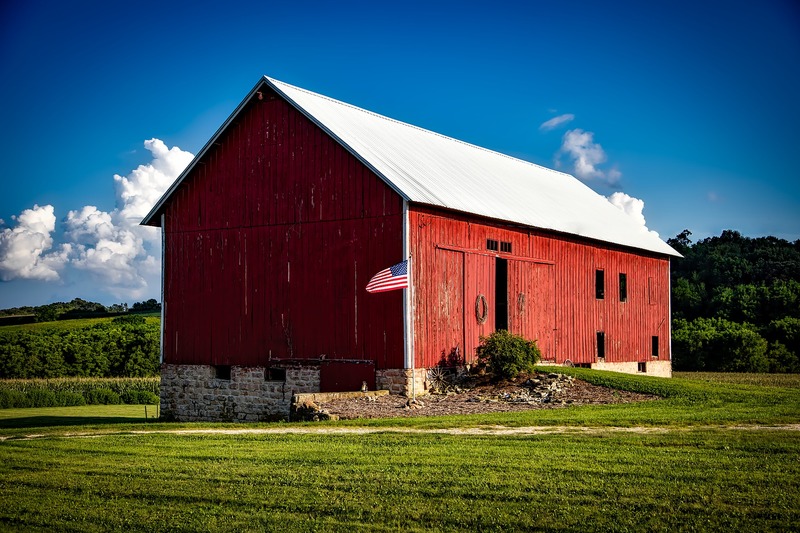 Take a look at this beautiful red barn with the American Flag waving proudly next to it. Even when you're driving down the road and you come upon a beautiful barn sitting on one of the Maryland Farms that is still operating, there's something special about it. You can imagine all the work that has went on there over the years. Everything the barn has been through and seen in it's lifetime. I'm especially intrigued when I see a big quilt painted on a barn that's sitting up on the farm. Not many will understand the pride that comes along with it. I still have several friends today who live on farms in Maryland. Some that are not in use any longer, but there are a good few who still operate their Maryland Farms that have been in their family for hundreds of years!! 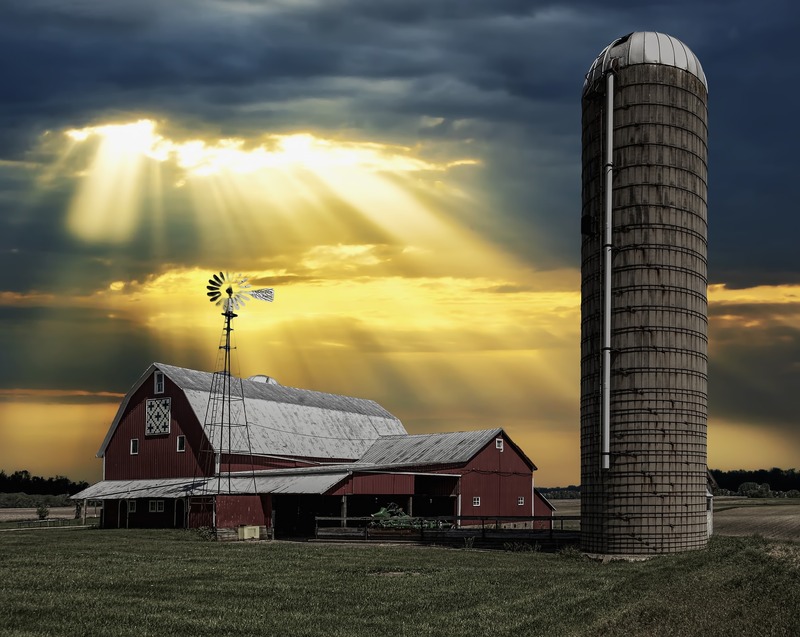 The same Farm and Barn above with the quilt and windmill seems to have taken on a heavenly glow in the picture below... There is something peaceful and heavenly about being out on the farm with nature anyway, but here it is really evident. Just look at this breathtaking picture and imagine yourself calling a farm in Maryland like this home. 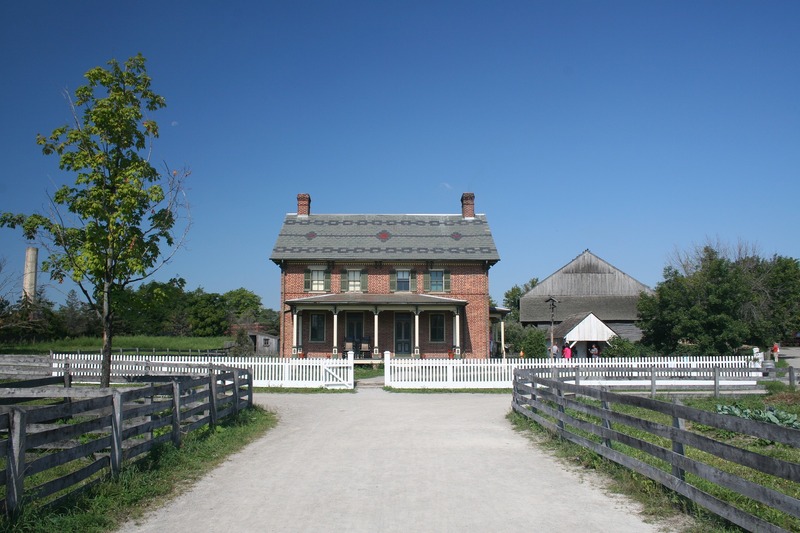 I know what you are thinking - you don't want to live in a barn, so where are the actual Farmhouses? Well, that's a great questions. 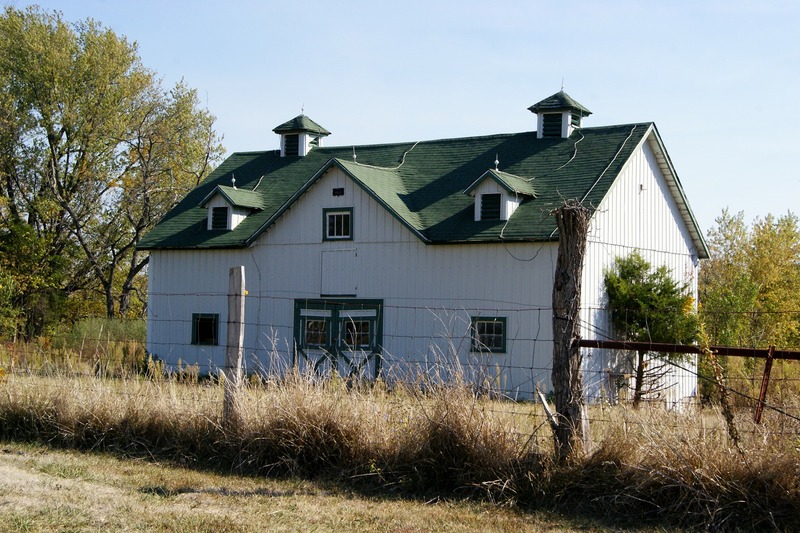 Farmhouses come in a large variety now days, so it really depends on what kind you like. 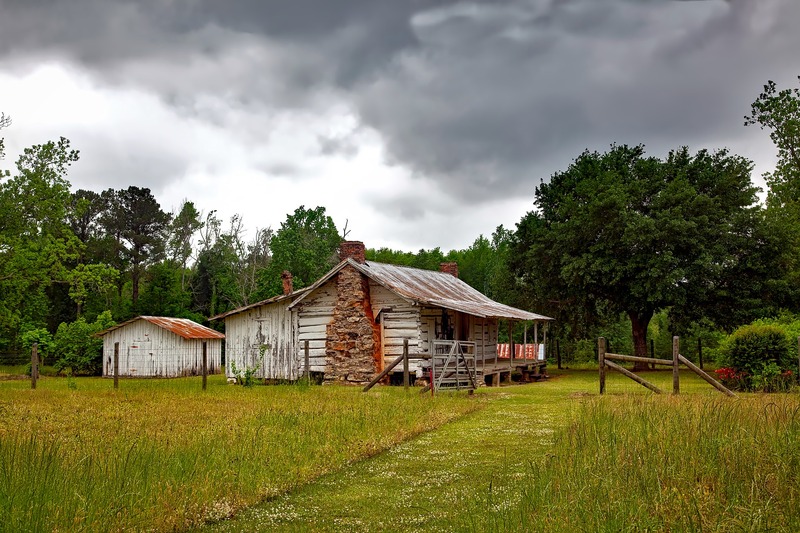 There are old farmhouses that need a lot of work, there are old farmhouses that have already been renovated and brought back to their glory and then there are newer builds that are sitting pretty on beautiful farm land. 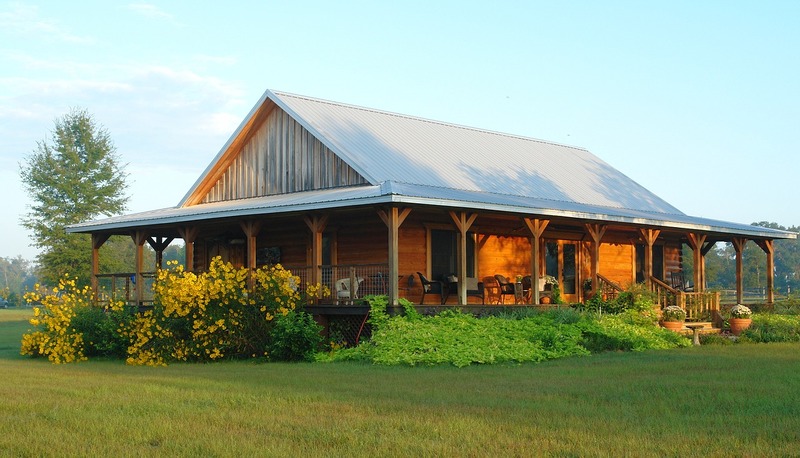 As you will see below, these Farm Homes and Farmhouses come in all shapes and sizes. It's not a one size fits all scenario by any means. If you are thinking how much you love farmland and beautiful open space, but you aren't much for the old farmhouses and it doesn't matter if they are renovated or not, then the house below might be perfect for you. I call this more of a House on Farmland because it still gives you the beautiful Farm Land and the Big Old Barn in the back but you will have all the modern day comforts of a newer built home. What more could you ever ask for?? I know what more you could ask for.... 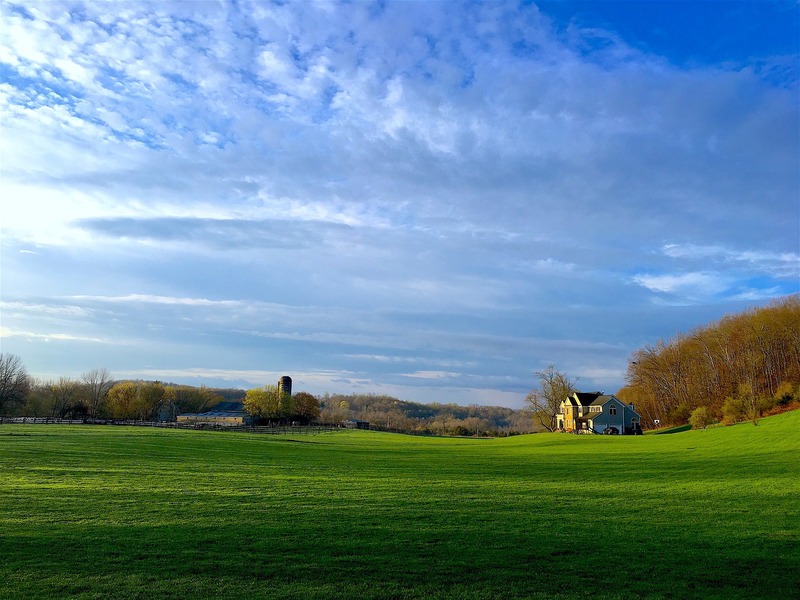 Some actual Farm, Farmland and Farmhouse listings here in Maryland. If you click the link below, you will be taken right to them and you will see the most up to date list of Farms on the market here in Maryland. All of these listings will have a minimum of 10 Acres, but not all will be able to qualify as a Farm. Don't miss out and if you have any specific questions, don't hesitate to Call or Text Vince at 443-463-8709.